A friend of ours recently invited us to lunch and while I was in the kitchen helping him make a salad, I noticed a piece of fruit sitting in a bowl. 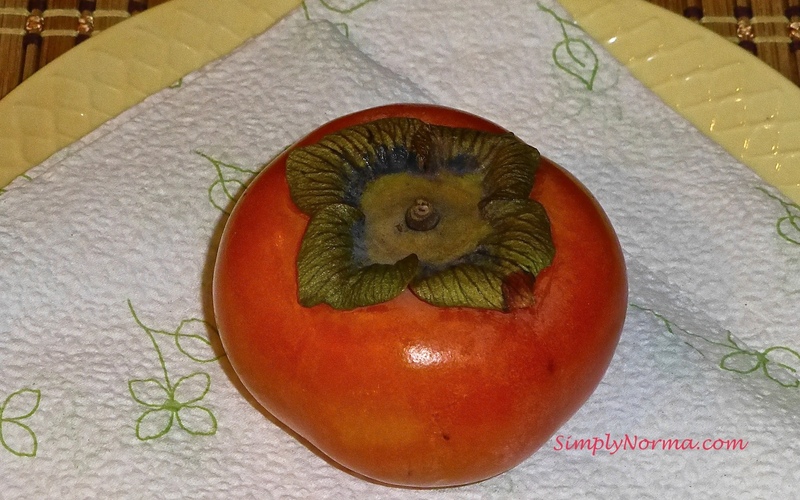 I inquired about it and he told me it was called a persimmon and that it tasted wonderful. 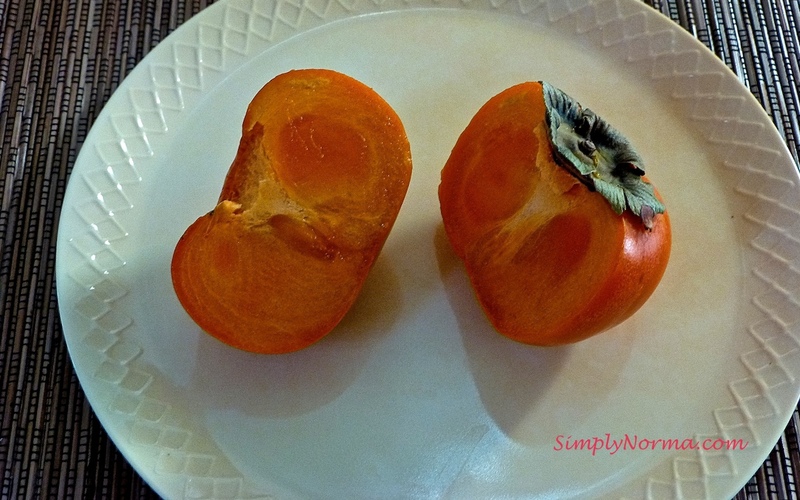 And that is how my love relationship with a persimmon got started. Have you had the opportunity to try one? And — you can eat the peel!!! But — you must remove the stem at the top — I think your mouth might complain if you happen to chew on the stem. Blech! This one was not totally ripe but was edible. Soft but not quite soft enough. Still — it was good. When it’s not totally ripe, you don’t get as much juiciness. So — what are the benefits of eating this fruit? Well …. since you asked …. They are also a good source of Vitamin C, potassium and also have B-complex vitamins like folic acid, and thiamin. Try one — I believe you’ll like it. Note: There have been people who have had an allergy to persimmons. I’ve read that this is rare but thought you should know — it’s possible.